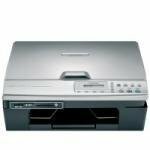 Brother DCP 116C Printer 9 out of 10 based on 24 ratings. 5 user reviews. Our friendly and experienced staff will be able to guide you to the best deals on cheap genuine Brother dcp-116c ink cartridges but for even greater savings why not select your next cartridge from our compatible dcp ink range? Finding a reliable compatible cheap ink that lasts and delivers first class print results doesn’t have to be difficult with our wide stock range. It is a great way of saving money without compromising on quality. Anyone searching for any genuine Brother cartridges will love the Brother DCP 116C ink as it is a great all round product.